How dominant is the opposing candidate in the other candidate's issue spaces? How dominant is the opposing candidate in the other candidate's issue spaces in terms of ranking as well as quantity? Grab issue lists from each candidate's respective Website. Query images.google.com for "election 08" issue 1, "election 08" issue 2 etc. Display relative presence and absence of each candidate per issue. 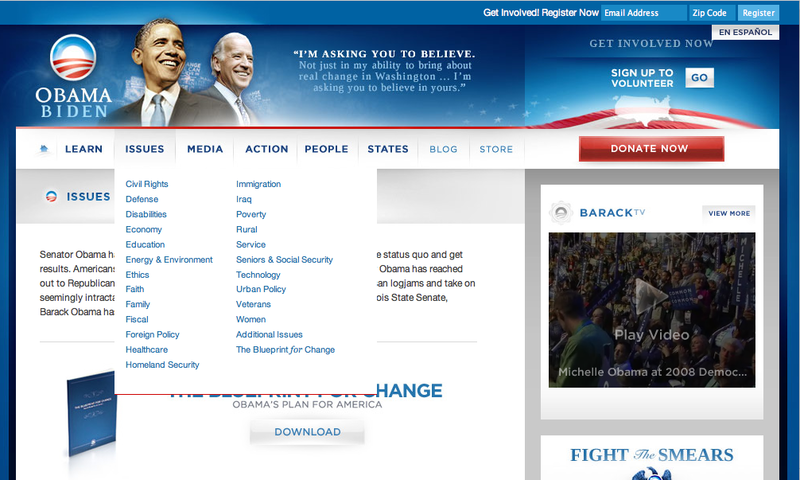 Obama Issues list is taken from his issue list in the menu, issues from his issues page are the same http://www.barackobama.com/issues/. “Additional Issues” from the issue list are also included. After querying one of the candidates issues in Google images, find the first candidate related image. If the opposing candidate shows up first in the Google Image results, it adds up to the total level of dominance of this candidate in the other candidate's issue space. 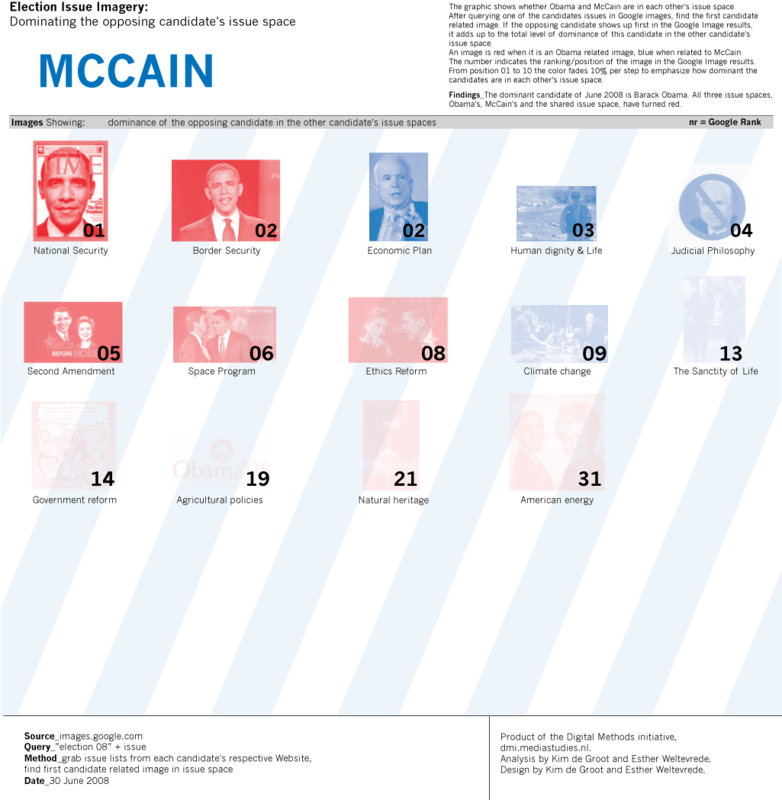 The graphic shows whether Obama and McCain are in each other's issue space. The dominant candidate of June 2008 is Barack Obama. 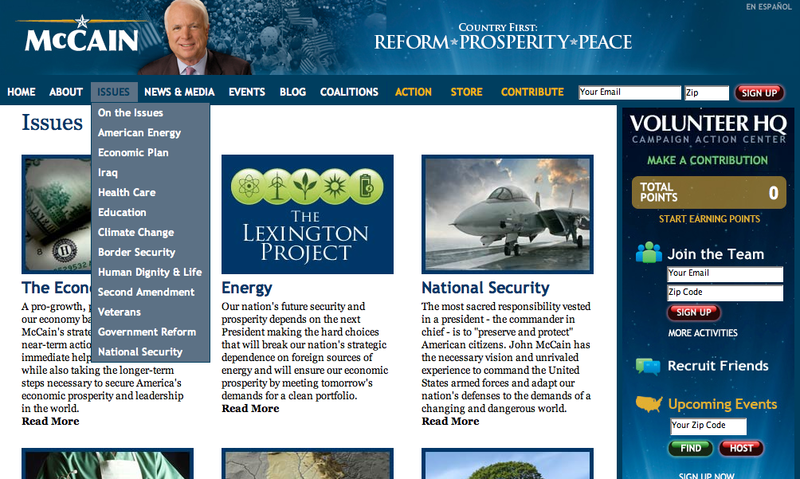 All three issue spaces, Obama's, McCain's and the shared issue space, have turned red. 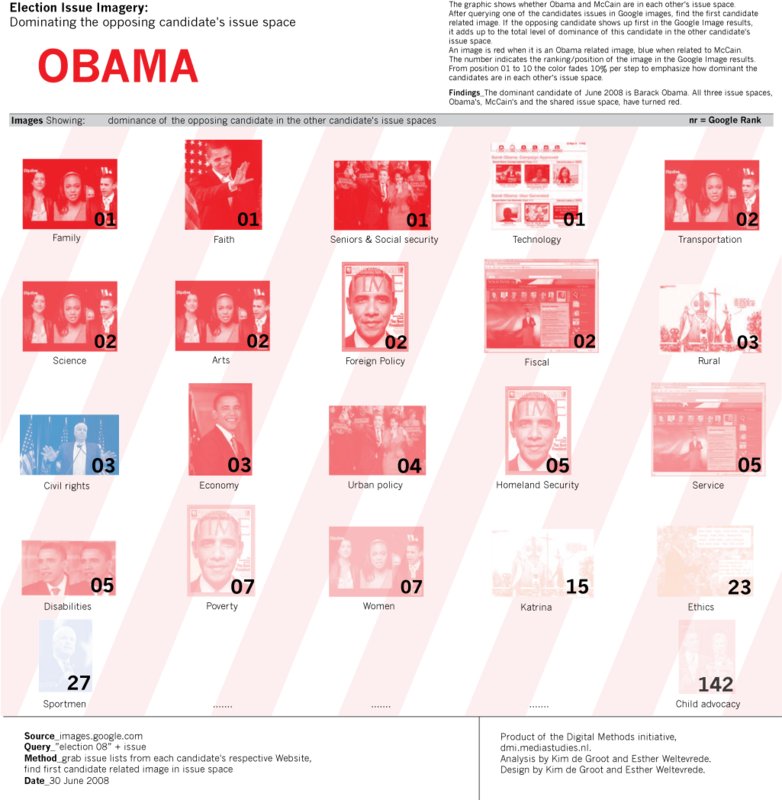 An image is red when it is an Obama related image, blue when related to McCain. The number indicates the ranking/position of the image in the Google Image results. From position 01 to 10 the color fades 10% per step to emphasize how dominant the candidates are in each other's issue space. It would be relevant to schedule this research since the findings might be totally different today. Multiple of these graphics would show who 'runs the show' on a topic per day. 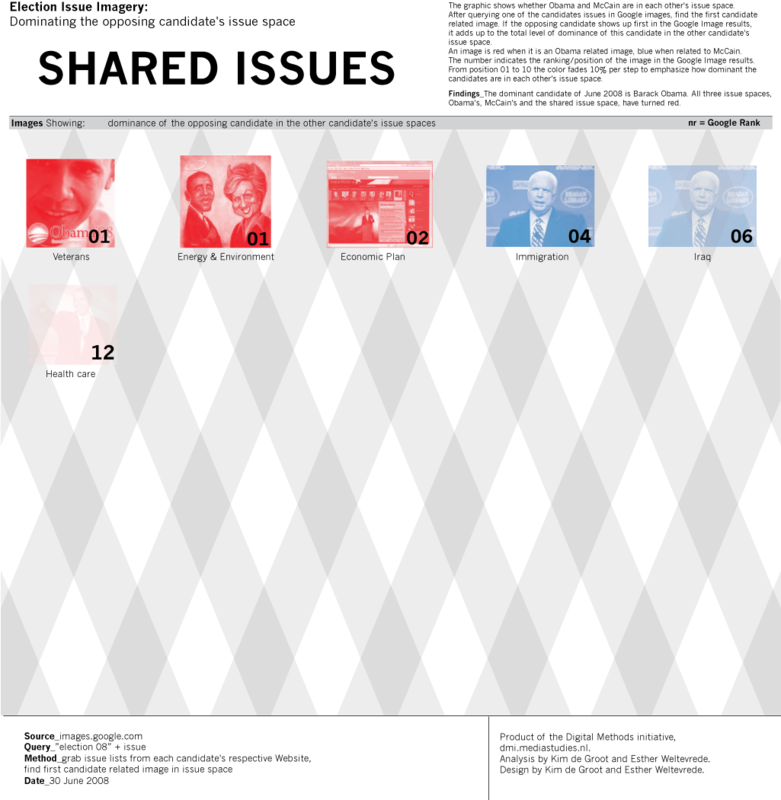 The election issue imagery runs parallel with the flow of the debate around the candidates issues.